A bit late to cash in on the 50th Anniversary of The Beatles arriving in the USA, but better late than never. 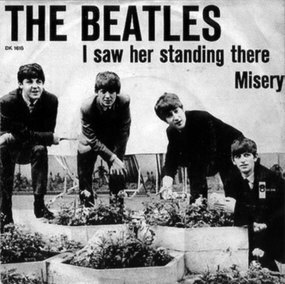 "I Saw Her Standing There" is unquestionably a timeless classic pop-rocker, and unquestionably much more McCartney than Lennon. Lennon even chose to cover it at what would be his final big concert appearance. You can hear that version, and the story behind it, as well as many other versions and the stories behind those (by everyone from Bob Welch to Mary Wells to Daniel Johnson...) Enjoy!